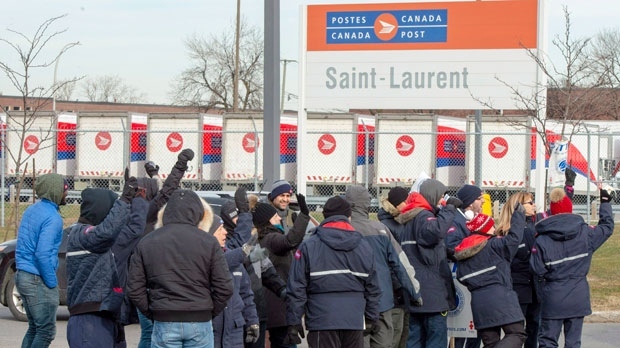 OTTAWA -- Mail service will resume all across the country at noon Tuesday after the Senate passed legislation ordering an end to five weeks of rotating strikes by postal workers. "I thought the extra time we took was valuable and was a demonstration of how the Senate should be reviewing government bills," said Sen. Yuen Pau Woo, leader of the independent senators' group. Sen. Peter Harder, the government's representative in the Senate, urged senators earlier Monday not to delay any further. "I'm gratified that after two days of intense debate the Senate did what, in my view, is the right thing and passed this legislation," he said after the vote. The Canadian Union of Postal Workers issue a statement declaring that it is "exploring all options to fight the back-to-work legislation." "Postal workers are rightly dismayed and outraged," said CUPW national president Mike Palecek. "This law violates our right to free collective bargaining under the Charter of Rights and Freedoms." Some senators -- independents, Liberal independents and even some Conservatives -- agreed with that assessment and voted against the bill. But the majority either disagreed or concluded that it's up to the courts, not senators, to rule on constitutionality. Those walkouts have led to backlogs of mail and parcel deliveries at the Crown corporation's main sorting plants in Vancouver, Toronto and Montreal. "It is the government's strong view that if it does not act now to protect the public interest, it will have acted too late," he told the Senate, arguing that postal disruptions are "not merely inconvenient." "The strikes come at a critical period for retailers," Harder said. "Unlike other kinds of e-commerce transactions ... lost holiday sales are unlikely to be deferred to a later date. They represent real and actual lost business for these companies." Canada Post said Monday that the backlog of mail and parcels is "severe" and expected to "worsen significantly" once online orders from Black Friday and Cyber Monday sales are processed. In a statement, the post office said it is experiencing delivery delays across the country and that's expected to continue throughout the holiday season and into January. Independent Sen. Marc Gold, a former constitutional law professor, said he's inclined to agree with the government. But another independent, Sen. Andre Pratte, said the bill makes "a fair, negotiated agreement impossible by depriving workers of the lone source of their bargaining power, their right to strike." "Because the right to strike is a fundamental right ... I am convinced that more time should be allowed for negotiations to come to a fruitful conclusions," he said. "This government was so concerned with appearances, not wanting to look like previous governments, wanting instead "to wag their finger and lift their chin in righteous indignation, that they sat on their hands until it was almost too late. 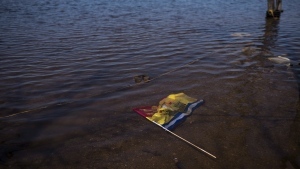 And it still might be too late," Conservative Sen. Leo Housakos told the upper house. Fellow Conservative Sen. Don Plett said "the government sat on its hands until the 11th hour and then in a panicked rush suddenly decided something needed to be done."